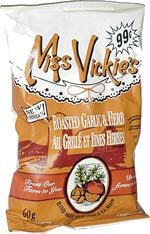 Taste test: These are very good chips, with lots of nice garlic and herb flavor. 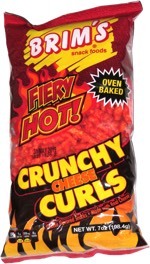 Extremely tasty, and they've got the good kettle chip crunch that you would expect from Miss Vickie's. One of our tasters thought that they have too much flavor.